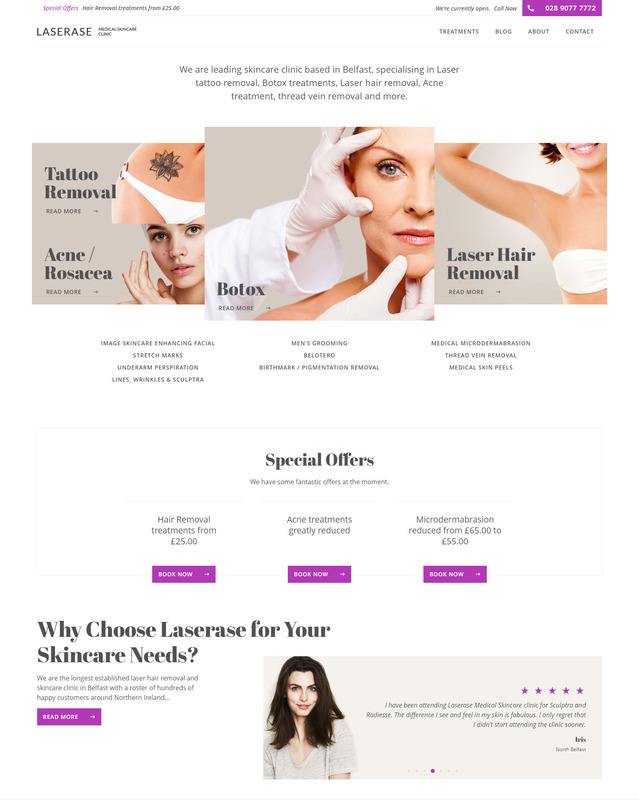 Since 1993 Laserase has built up a solid reputation for the provision of laser and skincare treatments. They asked WSI for a modern update to their web design and received a responsive WordPress website to maximise conversions with visual and interactive aspects. With On-Page SEO and their Google My Business listings optimised they are now already ranking very highly for their niche service keywords.